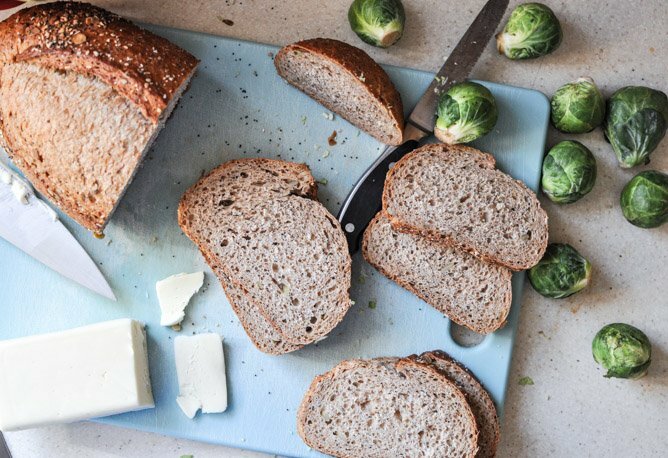 so …did you make that wheat bread? Recipe please ! 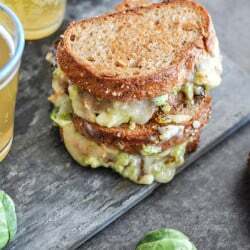 Brussels sprouts in a grilled cheese sandwich? Girl, you think out of the box! I made a pizza and layered brussel sprouts among other tasty items. Very. Good. And Out the Box. OMG. This is like the craziest sandwich ever and I love you for it. 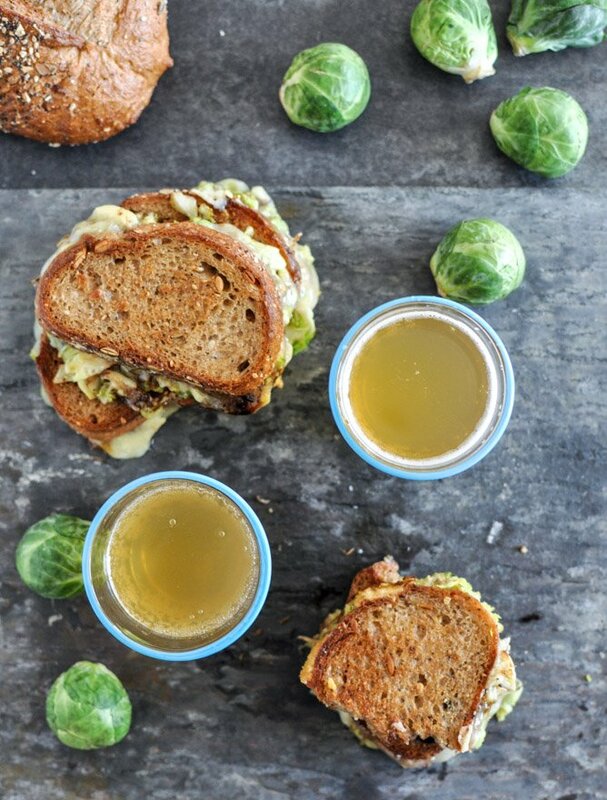 I would gobble all of it just to make my husband mad..as he dislikes the brussel sprout! Love this!! Woah there. This looks phenomenal. 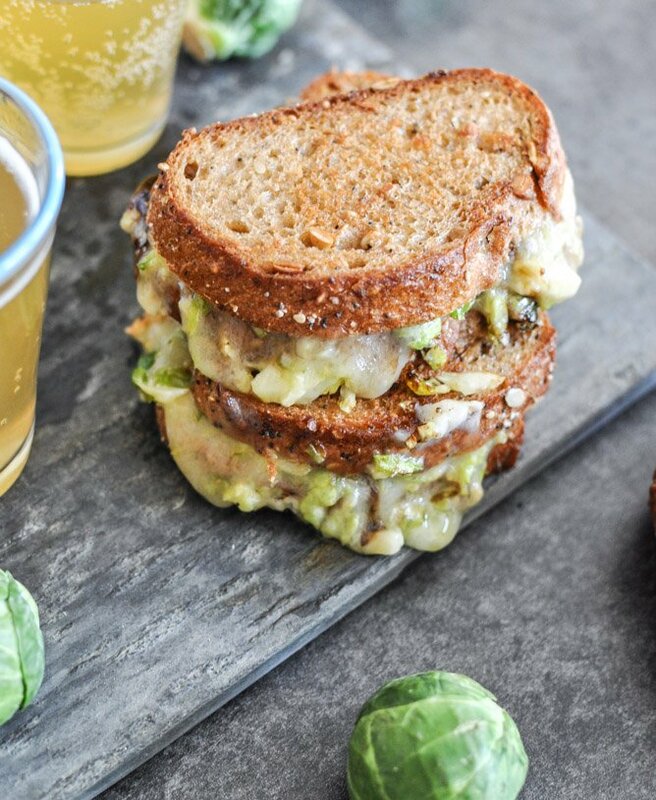 I like the sound of a brussels sprout grilled cheese! Super creative! I’m totally jonesing for this sandwich. Pingback: happy weekend // currently » hk in love. What an amazing combination of flavors! 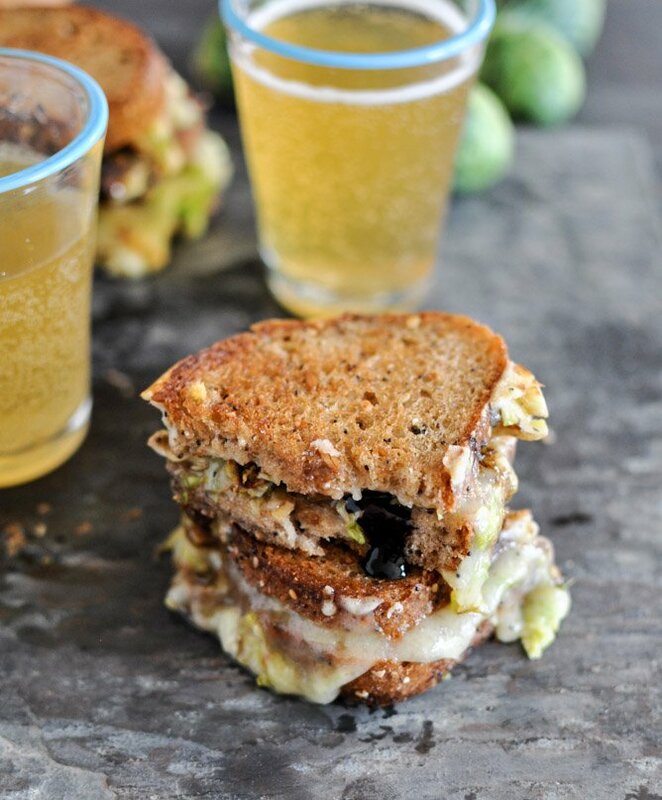 I love Brussels sprouts and (of course) grilled cheese sandwiches. I can’t wait to try this recipe. Does it make me fatty or awesome-fatty that I first thought those glasses of beer (heavenly) were ramekins of melted butter for dipping? (I’m going with the latter because I’m biased and in denial about my coolness factor). This is the best grilled cheese EVER. 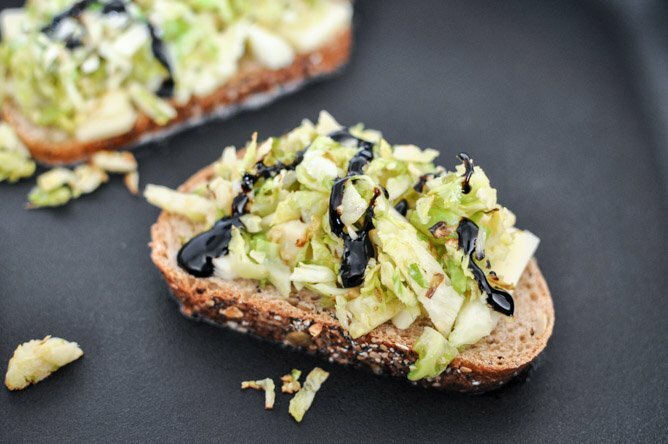 You actually were the one to propel me into a downward spiral of obsessive love for brussels sprouts and on grilled cheese with balsamic sauce.. if you need me, I’ll be in my room. I was skeptical and my husband was downright appalled at what I was doing but we were both pleasantly surprised when we took our first bites. A definite addition to our permanent menu of options. Thanks! Unbelievable. We will definitely be having these again!!! I have to say that even though I’m not much of a Bs eater, this sandwich look pretty darn good! I think it’s the cheese that does it for me. I too love brussel sprouts. This recipe was very inspiring. I didnt follow it exactly (actually, I do that most of the time)…I really took the idea to make epic quesadillas. Yum! Thanks for this recipe, somehow I never thought to make a sandwich from my fave veg. made this last night but with fresh mozzarella cheese and oh I think I died and went to heaven for a minute!